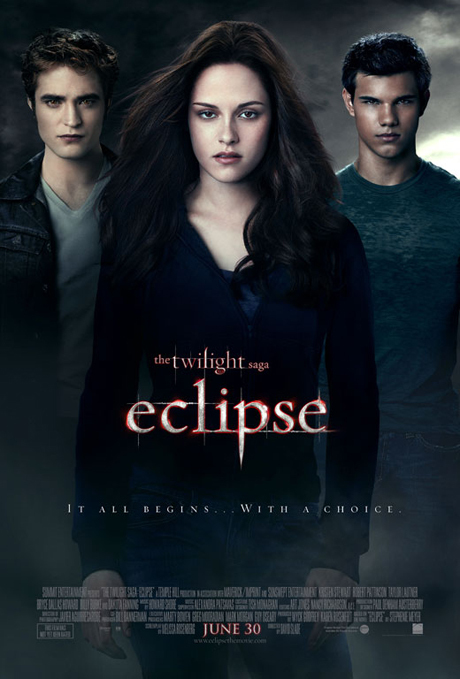 The movie blogosphere is falling over itself this evening to rag on the new Eclipse poster. As ever, they’re disgusted that anyone could take this trivial girly nonsense as seriously as they take The Green Lantern, and they’re more than happy to voice such opinions. The truth is, this new design is no more formulaic and banal than the recent Iron Man 2 poster, and with the exception of the tagline which I still don’t understand, I’m sure it will serve its function perfectly well. 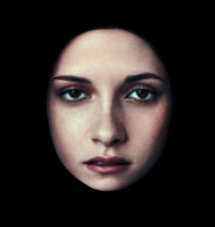 Saying that, the way they’ve photoshopped KStew’s hairline makes her head look particularly egg-shaped.